Lech Kaczynski, who died in an airplane crash on Saturday, started out as a child actor along with his twin brother and ended up as a head of state, described by many as the Richard Nixon of Polish politics. Strong anti-communist views had been the late Polish leader’s political line since he joined an underground anti-Soviet movement in Poland in 1970s. Watch interview with RT’s political commentator Peter Lavelle, who knew President Lech Kaczynski personally. Lech Kaczynski, a twin, was born in 1949 into a family of engineers. His parents were active participants in the anti-Nazi uprising in Warsaw in 1944 and the rebellious nature of his family spilled over into his political life. His anti-Soviet views brought him to the well-known ‘Solidarnost’ – or Solidarity – movement, which was responsible for bringing down communist rule in Poland in 1989. After spells as Chief of Security services, Justice Minister and Warsaw’s mayor, Kaczynski created a political party with his brother Jaroslaw – a natural alliance for Poland because the twins had been popular since childhood following their role in a movie called “Stealing the Moon”. The Kaczynski duo quickly gained success and they saw greater advancement in 2005 when Lech Walesa became Poland’s president. Kaczynski’s main platform was seeking a moral renewal for the nation, but the one field where he effected some change was Warsaw’s foreign policy. For approximately one year he actually shared power with his twin brother, who was briefly Prime Minister of Poland. 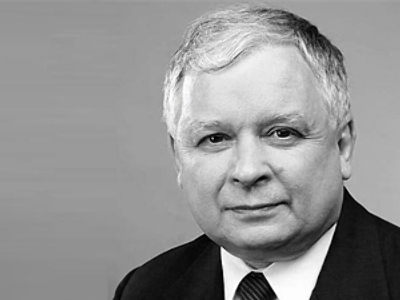 Lech Kaczynski stuck to a pro-American stance. He supported Washington’s initiative to place a missile defense shield in Poland and sent a military contingent to aid NATO troops in Iraq, despite the opposition of most of the population. During his rule, ties with Germany, Ukraine and Russia all suffered because of Kaczynski’s statements regarding events of the past. For instance, Berlin was criticized for what Kaczynski called an eternal guilt for WWII. But many experts agree, it was Moscow where Kaczynski directed most of his negative rhetoric. “In his presidential campaign, Lech Kaczynski showed quite a strong anti-Russian criticism. But I wouldn't say that it was a criticism of Russia itself, of Russian culture. Not at all. It was criticism of Russian foreign policy. But then, step by step, especially taking into account the previous two years, Lech Kaczynski re-evaluated, and I would say that it really moved forward a lot,” says Artyom Malgin from the Moscow State University of International Relations. During his mayoral career, as if to irritate Russia, he named a Warsaw square after Dzhokhar Dudayev, the leader of Chechen militants fighting against Russian forces. The same motive, experts believe, drove the Polish leader when he openly supported Georgia in the 2008 South Ossetian conflict. Following Georgia’s invasion of South Ossetia, Kaczynski even went to Tbilisi to show his support for President Mikhail Saakashvili. In 2009 he accused Moscow of collaborating with the Nazis in 1939 in order to occupy Poland. And last but not least, Kaczynski has criticised the Kremlin over its position on the mass slaughter of Polish servicemen in Katyn. That was where Kaczynski had been heading to commemorate the tragedy when his plane crashed. Kaczynski's wife Maria, who also died in the crash, was an economist. They leave behind a daughter, Marta, and two granddaughters. Many hoped that Kaczynski’s visit to Katyn would have helped to warm icy relations. “This was to be the moment of reconciliation, you know, when Russia was going to sort of make amends, commemorate this properly and so on and, instead, we have this horrific tragedy,” says journalist Fred Weir.